SRTS Path Alternatives Considered – Sugarcreek Township held a public meeting on February 10, 2016 to discuss the construction of a 10’ Safe Routes to School walking and biking path proposed along Feedwire Road from the Bellbrook Middle School to Eden Meadows Way. Two path alternatives were presented, as was an overview of the township's proposed multi-use path network. Contact Barry Tiffany, Township Administrator, at 937-848-8426 with questions. Access the comments received during the Open House Public Meeting. The Sugarcreek Township Board of Trustees reviewed and carefully considered the comments received and asked that ODOT move forward with plans for a pathway on the south side of Feedwire Road (alternative 1). Construction on this path is slated to begin in 2019. Please call 848-8426 with questions or comments. Sugarcreek Township, the City of Bellbrook, and the Bellbrook Sugarcreek Park District in cooperation with the Bellbrook Sugarcreek School District and the residents of Sugarcreek Township and the City of Bellbrook chose to undertake the development of a School Travel Plan in 2009 with funding support from the Ohio Department of Transportation. The Safe Routes to School program enables us to identify ideas for both educational programs (student education, parent education, community education, etc. ), encouragement programs (walk to school days, walking school bus programs, etc. ), engineering solutions (constructing walkways, improving crossings, etc. ), and enforcement solutions (increased police presence, etc.) in order to provide safer walking and bicycling conditions for our students. Evaluation is also a part of Safe Routes to Schools, so baseline data was compiled in 2009 prior to undertaking any recommended element of the plan. The connection of our residential neighborhoods to our activity centers (including our schools) is important to the township and will offer residents an alternative to driving. We received funding in 2010 from ODOT to complete infrastructure and non-infrastructure projects related to our local SRTS program. Included in the $7500 award for non-infrastructure projects was the production of a SRTS video, the production of Walk Route Maps, and the production of a safety pamphlet for students, parents, and community members. These projects have been completed. Look for the video on Bellbrook TV. Our first infrastructure project (chosen by the SRTS Committee as our first priority project) included the construction of a 10' multi-use path from the intersection of Upper Bellbrook / Pine Ct. / Feedwire Road to the BMS driveway on the south side of Feedwire Road. It also included a crossing at the Middle School driveway across Feedwire and improvements to the pedestrian crossing at the intersection of Upper Bellbrook / Pine Ct. / Feedwire Road. We received $333,500 in funding from ODOT to complete this project. Construction has been completed and this project has been put into use. In 2012, ODOT informed us that we received an additional $460,000 in SRTS funding to complete our second and third priority infrastructure projects. The second priority project is the construction of a 10' multi-use path from the terminus of the existing Richard Frederick Bikeway at the south BCI access to the existing path near the water tower (on the east side of Upper Bellbrook Road). This will also connect the path to BCI's internal sidewalk network. The construction on the extension of the Richard Frederick Bikeway has been completed and this project has been put into use. The third priority project is the extension of the 10' multi-use path from the BMS driveway to Adam's Place (on the south side of Feedwire Road). A feasibility study to assess right-of-way needs has been completed relative to the extension of the path from the BMS driveway to Adam's Place. This project has been added to the Eden Meadows Way connection project with construction slated to begin in 2019. In 2013, we received word from ODOT that we were awarded an additional $427,000 in SRTS funding to construct the Kable's Mill connection-the construction of a 10' multi-use path from the intersection of Upper Bellbrook / Pine Ct. / Feedwire Road to Kable's Mill Drive. Construction on this project is anticipated in 2017 in conjunction with the extension of the Richard Frederick Bikeway. Construction has been completed and this project has been put into use. On June 13, 2014, we were awarded another $191,000 to complete the Eden Meadows connection (taking the 10' multi-use path from Adam's Place to Eden Meadows Way). Also included in this project is a crossing from Deerfield Estates across Feedwire to connect to the path. This project will be constructed in conjunction with the Adams Place extension and is slated to begin in 2019. The annual Walk & Bike to School Day is always great fun! 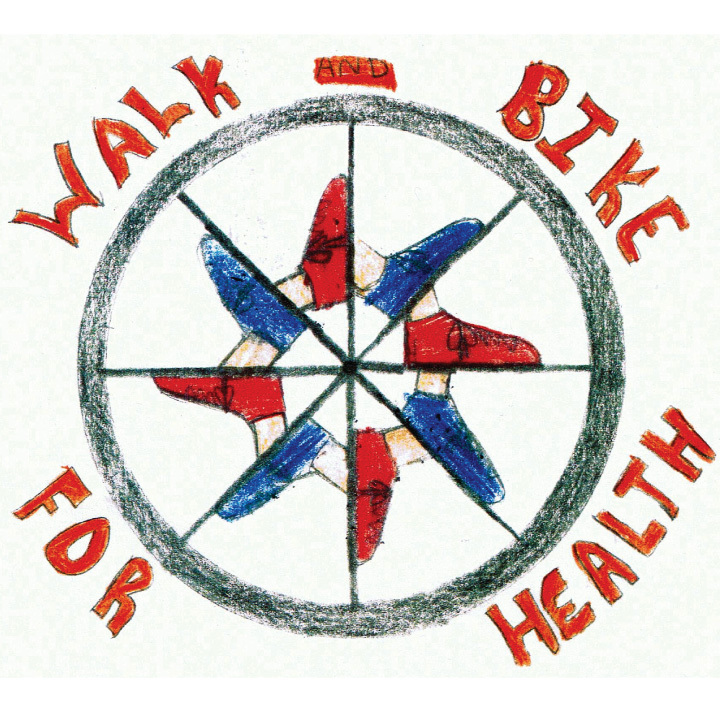 All BCI students are encouraged to walk or bike to school. Walkers and bikers are awarded with a short assembly after announcements, with all students receiving goodies and raffle tickets. Past prizes have included a plethora of bikes, a unicycle, skateboards, scooters, and bike accessories.